This cache is a black/camo 30ml tube and is NOT at the published coordinates. Wistow is a village and civil parish in Cambridgeshire, England. 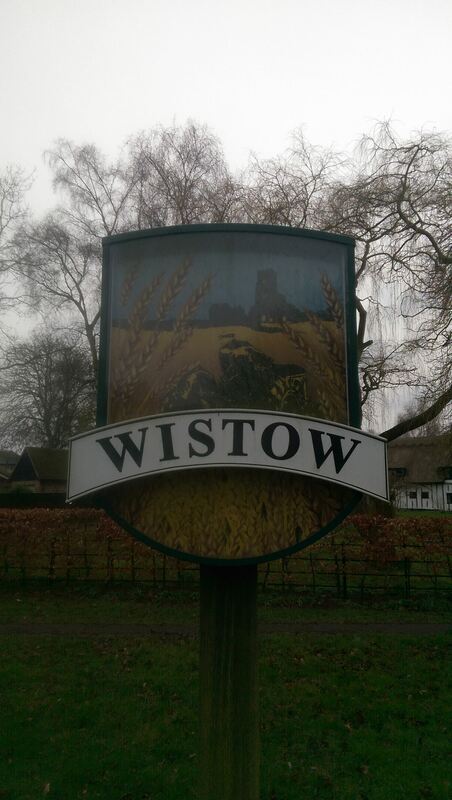 Wistow lies approximately 6 miles (10 km) north-east of Huntingdon, near Warboys. Wistow is situated within Huntingdonshire which is a non-metropolitan district of Cambridgeshire as well as being a historic county of England. The parish of Wistow consists of a strip of land running north-east and south-west (some 4 miles long) and of varying breadth. It is crossed by the high road from Ramsey to St. Ives at a distance of 2½ miles from Ramsey. Rather more than half the parish is on the west side of this road. In early days the possession of a portion of the fen for the supply of reeds for thatching, fuel, and summer grazing for stock, was very important, and to obtain these advantages Wistow was connected with the fen by a narrow strip of land about 300 yards wide. The parish contains 2,408 acres, of which 1,853 acres are arable, including fen, 405 acres pasture, 80 acres and 3 roods wood. The village is rather more than half a mile west of the road from Ramsey to St. Ives, and on the west side of a brook that rises in Abbots Ripton and crosses Kings Ripton; it then partly bounds and partly passes through Wistow, emptying itself at Ramsey into the Fen drainage system. The compact little village is on a slight slope facing east, all but thirteen houses being within a quarter of a mile of the church. It is principally ranged round roads forming an irregular four-sided figure with the church at the south-west corner. To find this cache you need to visit the village sign at the published coordinates and look at the plaques on the two benches. One plaque has no dates on it, but how many rows of words are there? This is E.
Line two has two names on it. The first letter of the mans name is the Ath letter of the alphabet. How many times does the letter J appear on this plaque. This is C.
How many words in the first two lines? This is D.
Now look at the plaque with a date on it. The month is the Fth month of the year. The cache is a 10 minute walk (you may want to drive) from the village sign so please do not go climbing all over it!